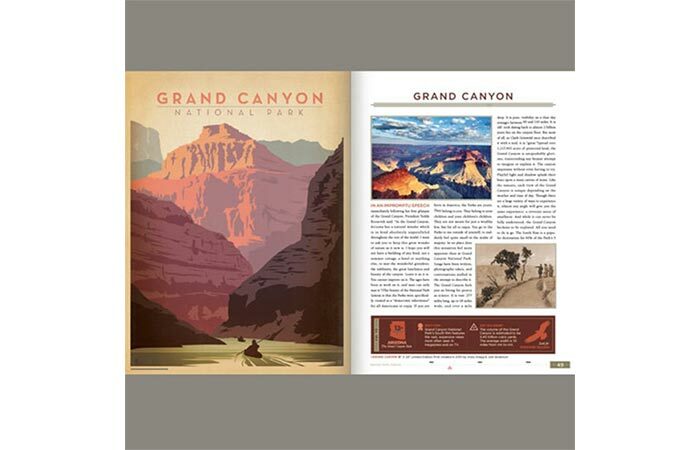 Inspired by USA’s National Parks, Anderson Design Group created a beautiful book, as well as numerous posters. This series is made to commemorate the upcoming 100th Anniversary of the National Park Service but also to give you new ideas for the holiday season. The Illustrated National Parks Book is a full-color hardcover coffee table book. It includes many interesting facts, historic photos but also a map of the US with additional travel tips. This 160-page book is quite large. 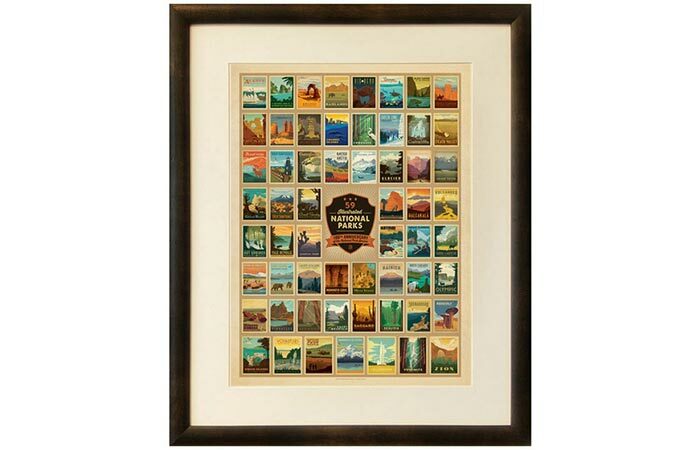 With 9” x 12” it’s big enough to include beautiful designs of 59 National Parks and 12 oil paintings. Besides the wonderful illustrations, the book includes many useful travelling tips and historical facts. If you like the posters you find in the book, we we some great news for you. Anderson Design Group made them available in 18” W x 24” L dimensions. Before the digital finish, each poster is drawn, painted and lettered by hand. What is also interesting about the design is the early 20th-century art style of posters. The posters are the homage to the Golden Age of Poster Art and are done in the early 20th-century art style. 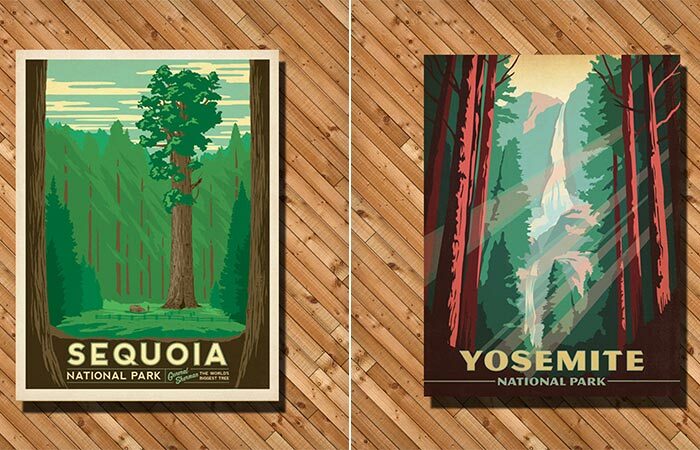 Besides the many individual National Park posters, there’s a special one that includes each of the 59 parks. Frame it and hang it in your getaway cabin or add it to your bucket list. They are for sure worth a visit! The one with each of the 59 parks.